A few months ago we wrote about the curious case of US Army Special Forces Captain Matthew Golsteyn, who had received an interim award of the Silver Star, with a recommendation for upgrade to the Distinguished Service Cross, our second highest award for val0r. Secretary of the Army McHugh not only declined to upgrade the award, he rescinded the award of the Silver Star. The publication reported that the secret document was first published Wednesday by The Intercept website. The internal Sept. 29, 2014, information paper says an investigation by Army criminal investigators determined Golsteyn “committed the offenses of murder and conspiracy based on the interview provided by the CIA,” the Washington Post said. The Army’s Criminal Investigation Division conducted an investigation, but was unable to discern any corroborating evidence, such as witnesses or a burial site. Absent that, no criminal proceedings were viable. If what the internal Army memo says is true (and at this point, we really only have the CIA’s word for it that then CPT Golsteyn made such statements), that would certainly be cause for both the revocation of the award, and the separation board Golsteyn faces next week. When armor is struck by a projectile, the kinetic energy is transferred through it. Depending on the type of projectile, that can cause armor on the far side of the impact to detach and turn into projectiles on the protected side. In fact, during the 1950s, a type of projectile called HESH was designed and fielded to exploit this possibility. HESH was a High Explosive Squash Warhead. Basically a lump of plastic explosive would flatten out on armor then explode. It was never intended to actually penetrate the armor, but instead generate a lot of spall on the inside. Fortunately, there’s a relatively simple way to counter spall, called, amazingly enough, a spall liner. A prime example is on the M2/M3 Bradley fighting vehicle. Bolted to the inside of the hull’s armor is about a half inch thick layer of Kevlar sheeting. 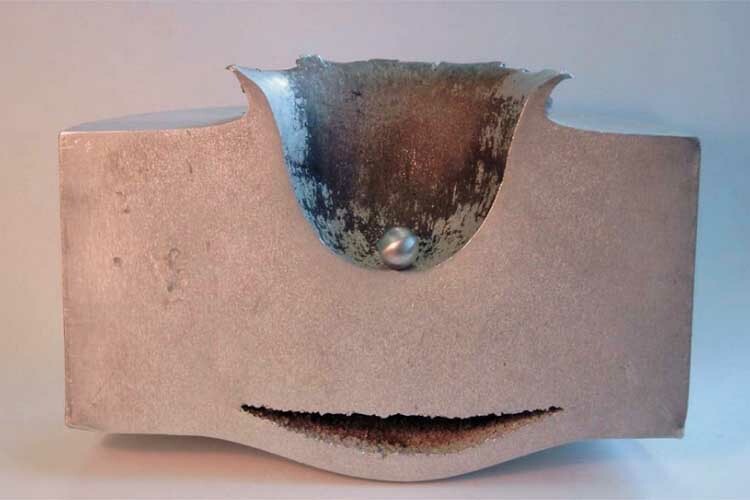 Kevlar has only modest capability against HEAT rounds and kinetic penetrators, but it is more than sufficient to stop spall (which both HEAT rounds and kinetic penetrators also generate). A Bradley might suffer badly from a hit, but minimizing the spall tends to make the crew much more likely to survive. This film is from circa 1965. Even in 1990, the Vulcan/Chaparral/FAAR team formed the backbone of the armored/mechanized infantry division’s Air Defense Artillery battalion, though by that time, there were also several FIM-92 Stinger missile teams available. Some of the platoon and company life fire gunnery ranges at Graf in Germany were especially fun when, as a dismount grunt, I could stand right next to an M163 Vulcan, and watch it dispatch bursts at targets. By 1990, both systems were clearly obsolete, and would be hard pressed to successfully engage most any Soviet aircraft, and even struggle with helicopters such as the formidable Mi-24. The Vulcan had been slated to be replaced by the M247 SGT York 40mm gun* but the failure of that program meant the Vulcan and the Chapparal eventually were both replaced by the Stinger missile, and a lot of hope that Stinger would be enough. The Japanese had fought furiously, employing in massive waves the kamikaze tactics against the invasion fleet that were first revealed off Leyte. Among the US killed were 4,900 sailors, as the US Navy lost 36 ships sunk and 368 damaged by the suicide onslaught. One in three Japanese civilians were killed or committed suicide in the fighting, nearly 150,000 in total. The battle, which ended with the island being declared secure on 22 June, was a terrifying harbinger of what the invasion of the Japanese Home Islands would be. The “Saipan ratio” used to compute casualty estimates for the invasion of Japan, was proven a dramatic underestimation by US casualties on Okinawa, which were almost four times the earlier calculations. In addition, Allied intelligence of Japanese air strength on Formosa (within range to help defend Okinawa) had pegged the number of operational aircraft at under one hundred. There was, in fact, eight times that figure, as the US and British Naval forces would discover to their dismay. Okinawa (and Iwo Jima) weighed heavily in the decision to employ atomic weapons against Japan as an alternative to invasion. With what occupation forces found on the Home Islands, the men destined for the invasions Honshu and Kyushu likely breathed a great collective sigh of relief.